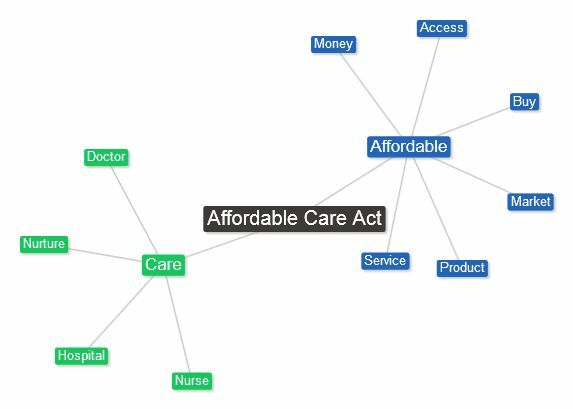 The phrase “Affordable Care Act” brings to mind money and commerce. An abbreviation of the name of the new healthcare law, the Patient Protection and Affordable Care Act, this phrase defines the issue as the affordability of medical care. Use of this abbreviation has helped sow doubt about the law’s value following media reports that, while many Americans can expect lower health insurance premiums, others may see higher premiums. Supporters should avoid calling the law by this name. 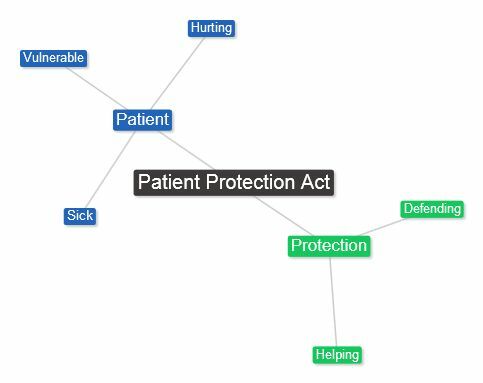 Instead, when shortening the name, use the first two words, the Patient Protection Act. This directs the hearer’s attention away from money and toward the law’s moral mission: protecting Americans from abuse by health-insurance companies and from bankruptcy and other injury due to lack of adequate health insurance. This moral mission is what the law’s supporters should talk about. I think it’s unwise to call the law Obamacare and will post about that this week. The phrase “Patient Protection Act” brings to mind defending the vulnerable. The phrase originates with a struggle between President Franklin Delano Roosevelt and the Supreme Court, which had struck down several New Deal laws. In response, FDR proposed in 1937 adding six more justices to the Supreme Court’s nine for a total of fifteen. These appointments would have given his supporters a majority on the court. This was known as his court-packing plan. This plan was extremely controversial among both Republicans and Democrats and never passed. The president is not satisfied to fill vacant seats in the judiciary. He wants to cheat. If we don’t stop him, our courts will be overrun with liberal, activist judges that will try to achieve victories for Obama through the courts that he can’t win through Congress. In this story, of course, President Obama is framed as the villain while Republicans that try to block his judicial nominees are the heros. The problem with this story is that it isn’t true. Obama has proposed nominees only to vacant positions, not to new positions. So why do they say it? The court-packing charge associates Obama with FDR, the radical Republicans bullies‘ ultimate foe, riling the base. It also sows doubt about the president’s intentions. And people that have heard only claims that he’s trying to pack the courts may believe it. That’s a lie. The president is fulfilling his oath of office by appointing judges to vacant seats as the Constitution requires. Trying to stop him from doing his duty is obstruction of justice for Americans that have already waited too long for judges to hear their cases. As the saying goes, “Justice delayed is justice denied,” and that’s wrong. In this story, the president is the hero for doing his duty to protect the right of accused Americans to a speedy trial. The villain is those that try to stop him. Obstruction of justice is a crime. What do you think should be said in response to the “court-packing” charge?